Our Rep will welcome you to Cairo, meet in airport then transfer privately with modern private van to your hotel in Cairo. you will revise the agreed itinerary with all pickup time in quick with your tour manager then enjoy complimentary dinner and overnight. Breakfast in hotel then join your personal guide to the Great Pyramids of Giza, the only surviving among the wonders of the ancient world, wander the Sphinx representing the king Chefren with lion body then drive to the city side of the plateau to admire the Valley Temple the only remaining example of the classic pyramidal complex. Drive to Sakkara to uncover Egypt oldest pyramid of the kind King "Zoser", it dates back to 2650 B.C and it is the oldest stone structure in ancient Egypt, it is also available to visit some of the Mastaba tombs of the high officials. Finally drive to tour the open air museum of Memphis at the site of Egypt former capital watch artifacts for great rulers especially the Huge statue of Ramses II then transfer back to your hotel and Overnight. Breakfast in hotel then start this different Egypt experience to wander the landmarks of Cairo Islamic, Coptic and modern culture. Start the Cairo museum admiring over 165,000 artifacts that attract millions yearly. It is the world only museum that displayed all this amount of ancient Egypt artifacts, the highlights for most is charming collection of Tutankhamun. Continue to the Alabaster Mosque standing in the middle of Saladdin fort, still in use for Muslim prayers. Named after the Alabaster widely used in lower part of out and inside the Mosque, while the upper part is built from the limestone removed from the casing stone of Giza Pyramids. Finally head to Coptic Cairo to wander some of Egypt Christian attractions located around Babylon Fortress, visit the Hanging Church, Abu Sirga Church and Ben Ezra Synagogue then transfer back to hotel and overnight in Cairo. Check out shortly after breakfast, transfer to Cairo International airport & fly back home. 5 Day in Cairo Itinerary and Short Cairo City Break. 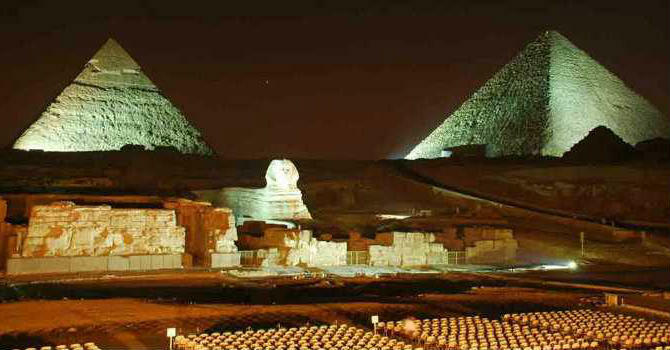 5 Day Tour of Cairo to Giza Pyramids, Islamic & Coptic Old Cairo Tour. Book 5 Days Budget Trip to Cairo Egypt Including Hotel, Transfers & Privately Guided Sightseeing Trips.